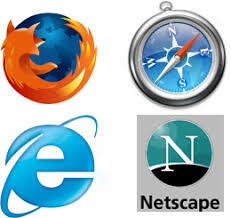 Mobile Health Computing: What's your favorite web browser? I mainly use Firefox and Chrome. Firefox continues to be my favorite browser because I'm so dependent on the Add-ons that are not readily available for the others. Chrome is a great backup browser that's quick and efficient. There are times when I'll open IE, but I rarely use Safari or Opera (even though I have them installed). Remember the old days of Netscape and the AOL browser? I wonder if anyone still uses those. Most people still use IE, but the others are quickly gaining popularity (especially as more people move to Mac OS X from Windows). What about you? Do you have a favorite?